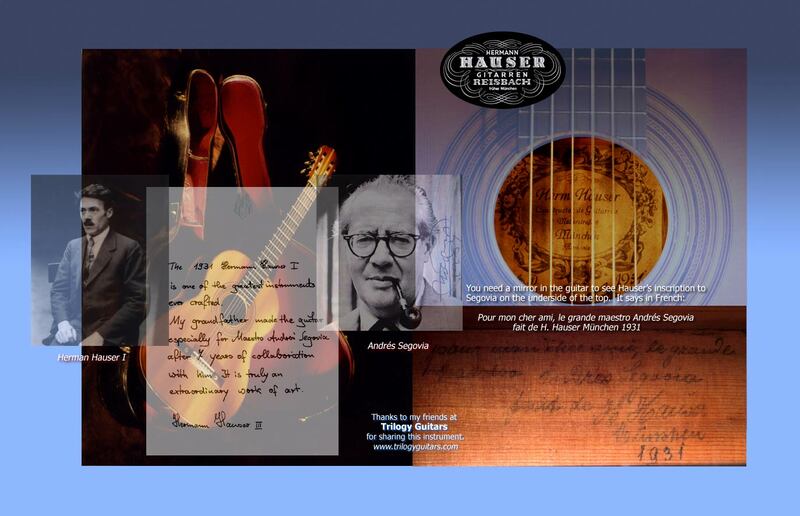 Andres Segovia is responsible for the entire world of classical guitar as we know it today, from university degree programs to worldwide concerts of classical guitar music. Segovia also made it his life's mission to create a repertoire for the instrument, and this he did; by transcribing masterworks of the past (such as works by J.S. Bach), but also by working directly with composers to create a living, modern body of works for guitar. Continuing Segovia's example, Julian Bream is especially noted for increasing the guitar repertoire by commissioning many 20th century composers to write for the instrument. Some may be surprised that I haven't chosen to record something more "traditional" on Segovia's guitar. But Segovia wasn't traditional; he was breaking new ground, striving to create new repertoire for the instrument. And so am I. Yet there are those today who feel that new music is somehow not "serious" enough if it reflects any facet of today's culture. I remind them that any art that is static is dead. One does not dream of condemning Mozart for writing music that freely used the contemporary influences of his time. Without new material that reflects the culture of the day, an art form will wither away. My goal is the same as Segovia's. On his guitar, I am playing new music, just as he did in his day. Like him, I understand that it is vital to push the musical envelope in new and unusual directions. Truly, I can't imagine doing anything else. I hope you enjoy the selections I have chosen to record on this fine instrument.